Yamaha Motor Corp., USA, is proud to announce the Yamaha Outdoor Access Initiative (OAI), the powersports industry’s premiere access program dedicated to ensuring outdoor recreation opportunities for future generations,celebrates it’s 10-year anniversary. 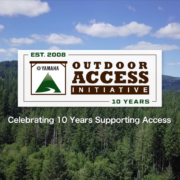 To date more than $3.5 million in funding and equipment over the last decade has been contributed to OAI’s mission: to assist and support outdoor enthusiasts working to protect and improve access to public land, as well as educate the public on its safe, sustainable recreational use. In celebration of this historic milestone, Yamaha produced a video in tribute to the hundreds of projects supported by OAI over the past decade: www.YamahaOAI.com/10YearsofOAI. The 10-year OAI tribute video debuted at the 2018 SHOT Show in Las Vegas, kicking off a year of programming to showcase the accomplishments of the Yamaha Outdoor Access Initiative and its grant recipients. By sharing these great projects, Yamaha aims to further the program’s mission: to provide practical support for efforts promoting safe, responsible use of OHVs, educate the public on proper recreational land use and wildlife conservation practices, and protect appropriate and sustainable access to public lands. The Yamaha OAI accepts qualified applications for consideration of support and funding. 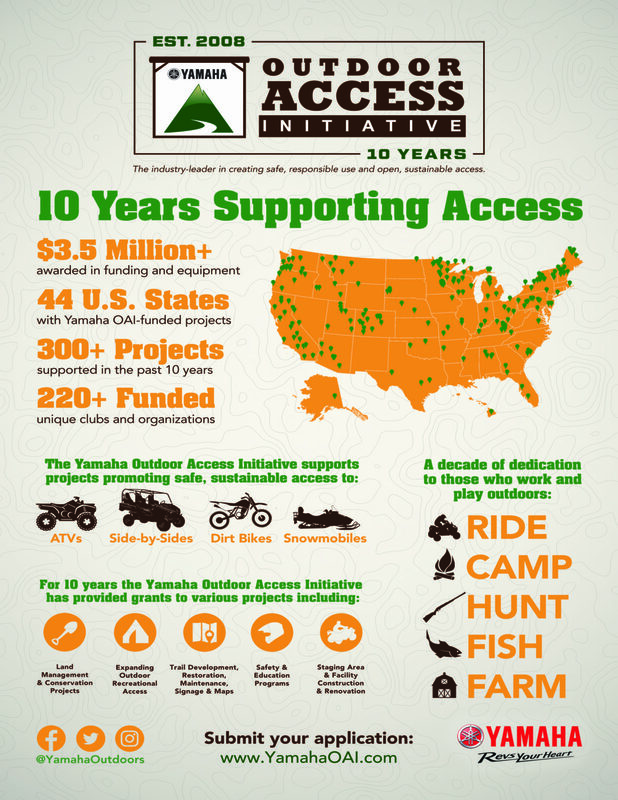 For more information on the Outdoor Access Initiative, to submit a grant application, or learn more about its 10th anniversary, visit www.YamahaOAI.com. Yamaha Motor Corporation, USA (YMUS), is a recognized leader in the powersports industry. The company’s ever-expanding product offerings include Motorcycles and Scooters, ATVs and Side-By-Side Vehicles, Snowmobiles, Outboard Motors, Personal Watercraft, Boats, Outdoor Power Equipment, Power Assist Bicycles, Golf Cars, Unmanned Helicopters, Accessories, Apparel, and much more. YMUS products are sold through a nationwide network of dealers in the United States. Thompson/Center Arms today announced the launch of the T/C® Triumph Bone Collector muzzleloader in REALTREE Edge and REALTREE Original camouflage patterns. Thompson/Center Armscontinues to set the standard for quality and innovation, offering consumers the newest REALTREE camouflage patterns in the popular Triumph Bone Collector. The T/C Triumph Bone Collector muzzleloader features a variety of modern enhancements, including the Speed Breech XT breech plug, Flex-Tech recoil-reducing stock, and the ability to fire 150 grain magnum charges of black powder or equivalent black powder substitute. 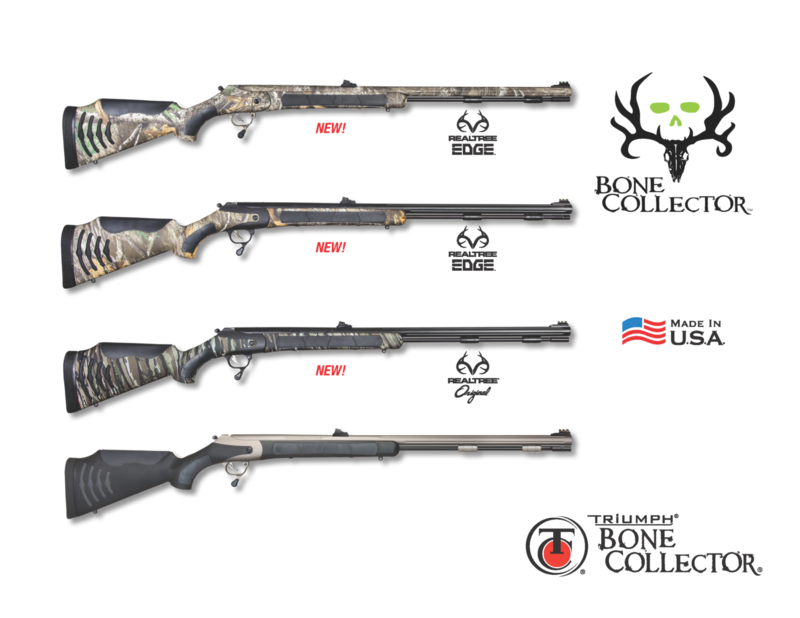 The T/C Triumph Bone Collector is available in multiple configurations, including the new REALTREE Edge and REALTREE Original camouflage patterns. 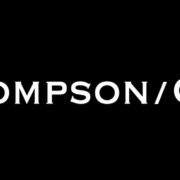 Visit Thompson/Center Booth #13729 at the 2018 SHOT Show in Las Vegas, NV to see the new T/C Triumph Bone Collector products and the rest of the Thompson/Center line. For more information, follow Thompson/Center Arms on Facebook, Instagram, and Twitter, or visit the website at www.tcarms.com. 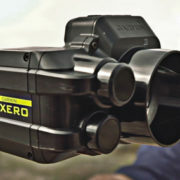 Last week Garmin International debuted two groundbreaking auto-ranging digital laser bow sights, the Xero A1 and A1i. What are the differences in the models? Simply put, the A1 and A1i contain the same groundbreaking technology with added features to the A1i. Both the Xero A1 and the A1i have an all-in-one design. As the first ever bow-mounted digital laser rangefinders and targeting display systems, they automatically measure distance to your target and provide a LED pin for the shot — even on those “in-between” yardages. The built-in rangefinder instantly provides the precise angle-compensated distance to game up to 100 yards away or up to 300 yards on reflective targets, at rest or full draw. With the press of a button the Garmin Xero’s laser rangefinder will display the range of your target with a pin calibrated to you and your bow. Both models’ LED pins automatically adjust brightness to conditions and allow you to clearly see your target, unobstructed by physical pins. The pins on the A1 and A1i are customizable for single-pin and multi-pin configurations. The silent single-button trigger requires minimal movement, at rest or full draw. Mount the button in the most convenient location for your grip so that one finger can silently trigger the laser range finder to give you the distance and exact pin for the shot. 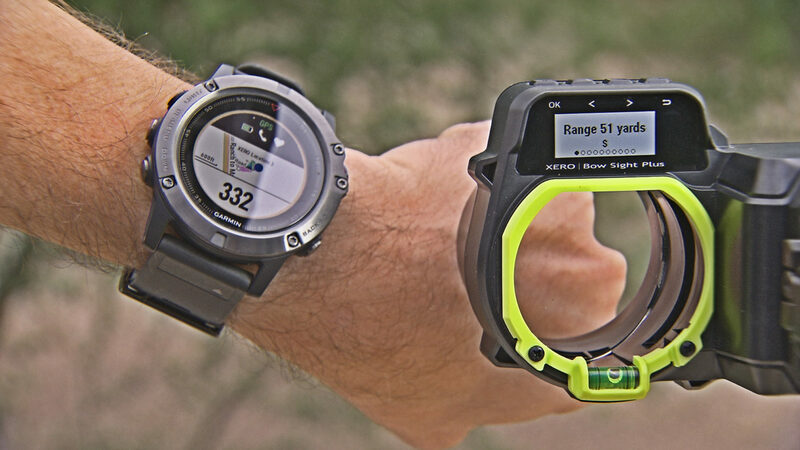 The Garmin Xero A1 and A1i are durable and lightweight (14.7 oz / 418g) and have a water rating of IPX7. In other words, the Xero is good for submission in one meter of water for up to 30 minutes. Therefore, you don’t have to hesitate taking the Xero out on hunts during wet weather. The Garmin Xero runs on two lithium AAA Batteries (not included) and will last up to one year (or 25,000 ranges) before having to replace the batteries. A few other features that both the A1 and A1i have: the range distance will be displayed on screen (pictured left); the shot odometer will let you know how many arrows you’ve shot total, or during a practice session (pictured center); and the Xero has pre-loaded, fixed pins as well as customizable pin yardages (pictured right). The Xero A1i includes dual-color LED pins. The user may select from either red or green-colored pins when setting up their bow. The Laser Locate Feature on the A1i enables use of a compatible Garmin GPS1 device to know exactly where your target was when the shot or range was taken. The information is then sent to your Garmin-compatible device and navigates you to where your target was hit. No more trying to remember where you think your animal was when you took the shot! See the list of Garmin compatible devices here . Pair any one of the compatible Garmin devices to your Xero to activate the Laser Locate Feature. 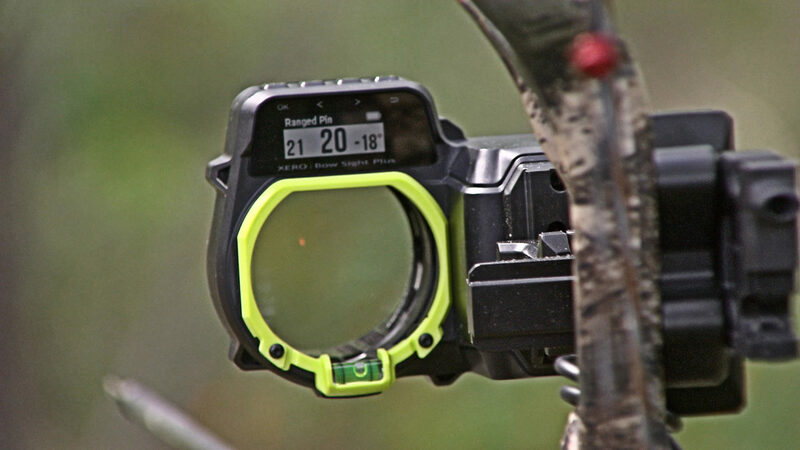 For bow hunters who don’t shoot the same arrows for target and hunting applications, the Garmin Xero A1i allows you to program different arrow profiles. Likely, the arrows you hunt with are heavier than what you use on the range. So, if your bow is calibrated to your target arrows, you can simply create a new arrow profile and recalibrate your bow to your hunting arrows. That information is stored in your A1i so you can easily switch from a target configuration to a hunting setup without having to adjust the sight each time you go out into the field. Finally, the Garmin A1i Shot Dynamic includes information that can help improve archer performance. Archers can view data such as bow level at release, bow impulse duration, and more. We hope this article helped break down the differences and similarities in determining which Garmin Xero model is right for you. Please visit Garmin.com/xero for more information. Garmin is excited to announce the Xero A1 and A1i, two groundbreaking auto-ranging digital laser bow sights that automatically measure the distance to a target and provide a precise, virtual lighted pin for the shot. 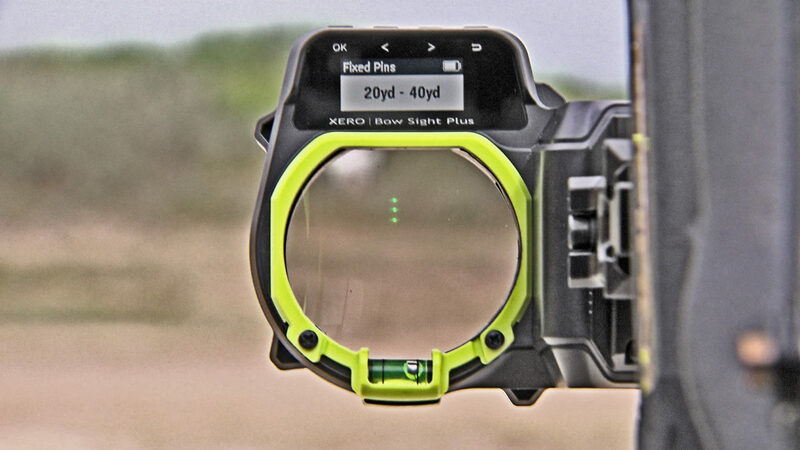 The first-of-their-kind Xero bow sights are being announced in conjunction with the 2018 Archery Trade Association (ATA) Trade Show in Indianapolis, and can be seen at the Garmin booth (#4035). The Xero features a silent, single-button trigger mounted on the bow’s grip lets the archer range targets at rest or at full draw, virtually eliminating distance estimation and hunter movement – two of the biggest challenges in archery hunting. The laser range finder instantly provides the precise angle-compensated distance – up to 100 yards on game or 300 yards on reflective targets. The Xero then projects a precise, virtual LED pin that is only visible to the archer, and without the clutter of multiple physical pins. An ambient light sensor ensures the pin brightness is optimized for various shooting conditions. Archers can customize the Xero for single or multiple pin configurations, or they can manually select a pin of a pre-determined distance. A sunlight-readable display helps the user configure and customize the sight and provides information like target distance and angle. 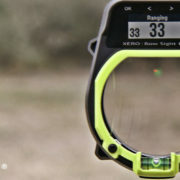 It also provides a shot odometer, so archers can keep tabs on how many times they’ve shot in one practice session or over the lifetime of the bow. The Xero A1i includes many additional features. Laser Locate™ estimates the arrow’s point of impact and transfers that location to a compatible Garmin device (sold separately) so hunters know where to begin their recovery of game. The A1i also enables the archer to configure multiple arrow profiles, to easily transition between a target or hunting setup without readjusting the sight. Archers can also analyze and improve their performance with shot dynamics – information like arrow speed, roll of the bow, and bow impulse duration. Additionally, the A1i features user selectable red (default) and green LED pins. 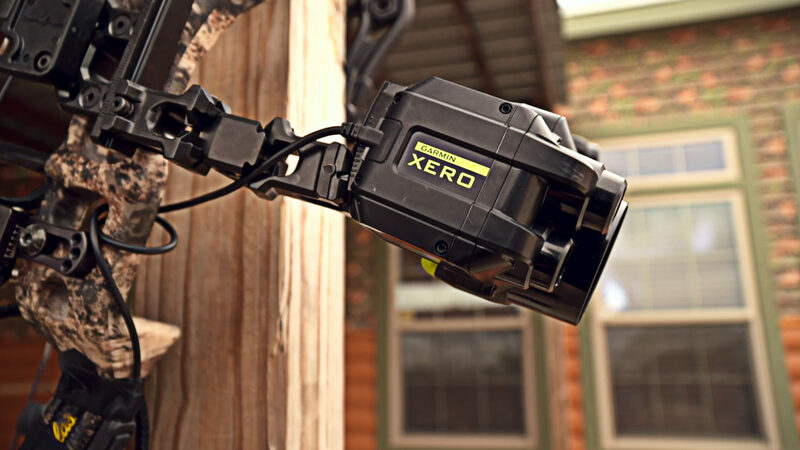 The Xero operates up to a year on two AAA lithium batteries and comes in both right and left-handed configurations. Ruggedized and water rated to IPX7, the Xero can withstand the rigors of bowhunting. The Xero A1 has a minimum retail price of $799.99, and the A1i has a minimum retail price of $999.99. Both models are available in the first quarter of 2018. Some jurisdictions regulate or prohibit the use of electronic bow sights for hunting. Always know and obey all hunting regulations before using this device. Follow Garmin Fish & Hunt on Facebook, Twitter and Instagram to learn more about Xero in the coming months.